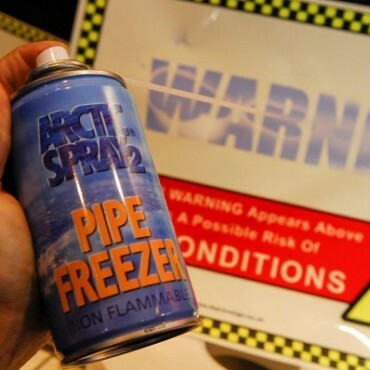 Get ready for the winter with a photoluminescent thermochromic safety sign. 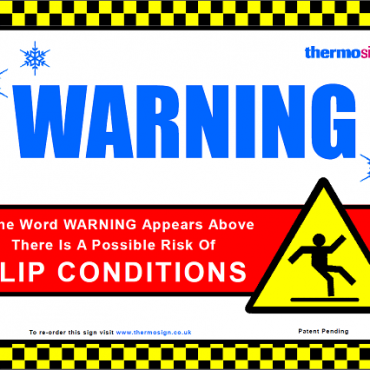 The sign is designed to alert pedestrians or workforce of potentially hazardous wintry conditions. 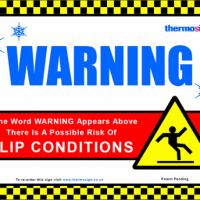 Utilising the latest thermochromic ink technology, the sign produces a WARNING message at temperatures of 5 degrees and below. Combined with the photoluminescent, glow in the dark background, effects a highly visible and interactive warning sign. The WARNING alert will continue to reactivate and be ‘colour-fast’ for a period of at least 12 months from installation in an external environment. 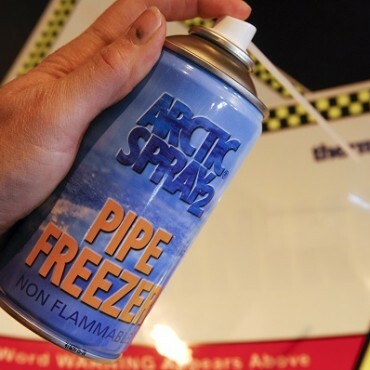 They are weather proof though the nature of the ink means that UV light reduces effectiveness over time and we recommend that the sign is changed annually, with a working life of one winter season. 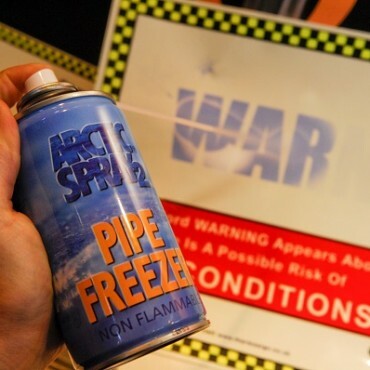 Supplied as an A3 (297mm x 420mm) size, in either a self-adhesive polyester construction or a semi-rigid polyester construction film laminated onto a 1mm High Impact Polystyrene (HIP).